We all want be heard, seen, valued, and understood for who we really are. We desire unconditional love and acceptance. This isn’t debatable. We all recognize this desire, right? Isn’t this behind all the fairy tale romance stories and the cry for tolerance? See me, know me, love me, warts and all. Maybe we focus so much on being understood that we forget to really understand those we love. Enter our children. Did you know they have that drive too? Kids need to be fully known, loved and accepted first by their parents. I’ve sat with people who did not experience this in their childhood and are dealing with the impacts this has left on them. The opposite of being understood is rejection. If a child doesn’t feel fully understood and accepted first at home, they may be sensitive to rejection in the future. Now, I know we are put on this earth to guide, teach, train, and discipline our kids. Yet, I think sometimes we focus only on the externals and we miss what is going on in their heads and hearts. We miss their insecurities or their fears. Our kids are more than grades, athletic accomplishments, or artistic performances. They are more than their behavior. If their behavior is rebellious, ugly, or emotional, they may be struggling in a way that they don’t feel safe to share with you. If their behavior is always good, they may be attaching their identity to never making a mistake and this is a recipe for anxiety. Behavior is just one component of personality. We are physical, mental, emotional, relational, and spiritual beings. Behavior is the physical domain. It seems to me that as parents we focus a lot on that aspect of our children and less on the mental, emotional, or spiritual domains. Why is that? Well it’s much easier, right? But I know you want to raise a child who is confident in all areas of who they are, not just that demonstrates good behavior. And what if, by seeking to understand them in all areas you have an impact on their behavior. I have witnessed many kids who have great behavior but are stressed and overwhelmed trying to maintain the “perfect” life. Just looking at their achievements and grades, you wouldn’t know how much they are struggling. But there are moments that it comes out. You see, the danger of focusing only on behavior, good or bad, is raising kids who focus on the external things they do or ahieve for their sense of value. Now I am not anti-discipline, this is needed (ask my kiddos we have rules and limits in our home). However, relationship and understanding your kids comes first. How do you know what discipline will work if there is no understanding? Let’s face it, feeling understood is extremely powerful. 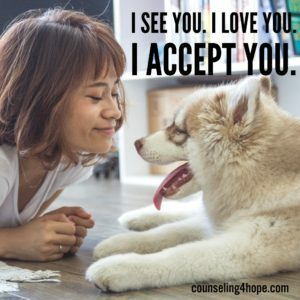 Pause and think of a time you felt completely seen, loved, and accepted for who you really are? Visualize the moment. Who gave you that feeling? How did they do it? What would you have done for that person? How did you feel toward them? It’s an incredible feeling right? Did you know you have the ability, the superpower, to give this experience to your kid? Can you see how it might change everything? So how do you learn understanding and give your child the experience of being understood? Get to know them. Use the phrase “tell me more”. Tell me more about (what’s behind the tears, the emotional outburst, the difficult situation, etc.). Validate their feelings. This sounds fancy but it is simply letting their feelings be valid and real, no matter what they are. Regardless of how you would react in the situation, their perspective and feelings are what they are. Let them be that. Tell them you see it and remember a time you felt that way. “You really seem happy about something, tell me about it” (see how I combined them both) OR “Wow, you are really upset about this, tell me more about how that hurt you”. “That’s so sad, I’ve been sad to and it’s hard”. Let it be okay for them to feel what they feel. Be a safe place for their feelings. This helps them learn to validate their own feelings as they grow. Learn what matters to them and how they are struggling. Listen to understand and not fix things. No matter what, start and end things with how much you love them. Compliment effort not results. “Wow I saw your grades, it took a lot of hard work and I admire how much time you invest in your studies”. Be real about your own struggles. I challenge you to look at your kids differently this week, whatever their age. Seek understanding. What are their passions, who are their friends, what’s the latest thing they are interested in, what are their fears, or current struggles? Warning: don’t ask all that in one sitting. LOL. It doesn’t work. Understanding comes over time as you deliberately seek to take the time and opportunities that present themselves. I think learning about my teens and watching them grow into who God designed them to be rocks! I have to set aside my agenda sometimes but that’s okay…my stuff will be here long after they are grown. Let’s seize the moment when it comes. Last week we talked about the unique challenges your teen is experiencing due to their brain development and stage of life. If you haven’t read it, please read part 1 before you go any further. Click here to read the part 1. This week we are continuing to look at four more parenting shifts that help enable us to better parent our teens. Holding Space for Emotions: Teens are emotional. They flash to emotions faster because of the construction going on in their brain. Remember, you have a fully functioning brain and theirs is still in development. There will be perspectives you can see that they can’t yet. An emotional moment, isn’t the time to share your perspective or give your opinion. What they need instead is to have a safe space to be emotional, no matter how insignificant the problem may seem to you. Let them cry. Let them express their fear, anger, or anxiety. Reflect it. “wow, that is so sad”, “sounds like you had a day where you felt unseen or rejected”, “man you have a lot on your plate”. Resist the temptation to fix the emotion and let your love and patience comfort their emotion. Emotion heals emotion. Only after they feel validated and understood can they hear your perspective and opinion. Giving them space to process their emotions may be what they need to solve the problem on their own. This does not mean that you tolerate disrespect. Utilize the time out principle. We all sometimes need a few minutes to calm our emotions. If your child is disrespectful or out of control, let them take some time to calm down and then provide space for them to process the underlying emotion. When you use the time-out concept, reassure them that you want to hear them. You can say something like “I really want to hear and understand you but I’m not okay with how you’re talking to me, let’s take a brief time-out and try again in _____ minutes”. Encouragement: Teens in our culture have a lot coming at them. They are constantly under stress to get good grades, be accepted at school, and juggle all they do. The world tells them they are only valuable because of what they look like, the grades they get, or how good they are in their extra curricular activities (band, sports, theatre, etc). What they really need are people that accept them no matter what. Encourage them for who they are (their unique attributes and character) separate and apart from behavior or results. Praise their hard work, their effort, their creativity, compassion, empathy, etc. instead of their grades or achievements. Encouraging them for who they are instead of what they do builds their self-confidence. Connection: Part of the changes that happen in a teen’s life and brain as they approach adulthood is a shift from family to peers. They experience an intense need for connection with their friends similar to the intense connection they needed with their parents during infancy. Teens need good, strong friends and access to connecting regularly with these friends. The need to belong somewhere with people their own age is powerful. In our culture, teens connect through social media and texting. Have boundaries and limits on their phone but consider allowing this freedom so they meet this need. Encourage them to find good friends and allow time and space for them to regularly be with their friends. School clubs, sports or a good church youth group helps provide them safe opportunities to connect with other supportive teens. Deal with your stuff: Parenting this way is hard. It requires us to deal with our own stuff and we all have stuff. This may be the most important parenting shift you make. Let’s face it, parenting brings out our own faults, sins, and issues. What is the reaction you struggle most with as you parent? You can’t control your teen but you can control yourself. 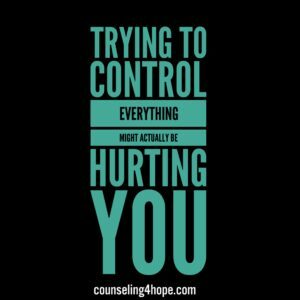 Controlling you impacts your teen dramatically. So deal with your stuff. Deal with the anxiety that comes as you see them making choices that might not go well. Deal with the irritation resulting from encountering an emotional teen. Learn to calm yourself in order to give them what they need. Deal with the fear you have of giving your child freedom because you like to be in control. Whatever your stuff is, own it, face it, and deal with it. Your teen needs to see you as a real person, with real struggles and flaws who apologizes when they mess up. This helps them learn to accept their own stuff and fosters a better relationship. What do you need to do to work on so you can be the parent your teens need? Teens are awesome. They see the world in a different way and feel deep emotions. They love fun but also are deep thinkers. This isn’t a stage to be scared of but a stage to be embraced. The relationship you cultivate now with your teen matters. Give them the gift of making these shifts so you can help equip, empower, and prepare them for adulthood. 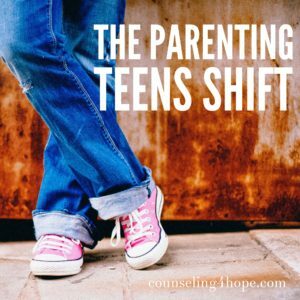 Need help or think your teen needs more help than just a parenting shift? Find a good counselor that specializes in teens. There is always hope. I’m going to spend the next two weeks talking about the parenting teens shift. No, that’s not the latest dance craze, nor is it a funny YouTube video gone viral. 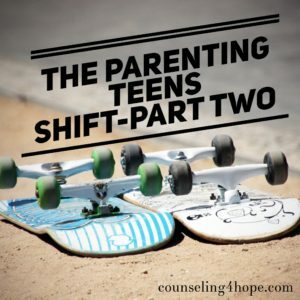 The parenting teen shift is the shift all us parents of teenagers have to make as we are thrust into the teen world. Over the next two weeks I’m going to share things I’ve learned from my personal experience with my own teens, my extensive time spent with the amazing teens at church, and the experience I’ve gained counseling teens and parents. Not sure if you need to make a shift? What is your answer to the following questions? Are you getting attitude and resistance where you used to get compliance? Do they challenge you and question your decisions? Are you confused by the emotionality of your teen? 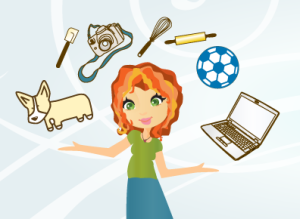 Wondering what’s going on in your teen’s world? Struggling to relate to your teen now that they are older? Do you find yourself frustrated and feeling unappreciated? If you answered yes then perhaps you can benefit from shifting how you think about parenting your teen. First let me reassure you that neither you nor your teen are crazy. This stage of development is an exciting and critical one full of changes. How you parent during this critical final parenting stage (as in every stage) is important. However, the problem is that the mindset and tools you used as a parent during childhood doesn’t necessarily work in the teen years. Hence, the need for the shift. A teen’s brain is undergoing a massive reconstruction project as it is finalizing its growth and development. This means that as your child progresses through the teen years, their brain is actively being changed. As a result, their emotions intensify and their reasoning and logic abilities improve. They’re more self-focused which magnifies problems in their world. All of this is a result of where they are in their brain growth and development. This is the final stage of parenting prior to adulthood. Both of those factors impact the need for a shift as we are parenting teens. When a child is born we control everything about their lives. As they grow, we continue to provide structure, limits, and freedom based on their age and development. Eventually, they will launch into adulthood and make all their own decisions. Our job as parents during the teen years, is to balance freedom, structure, and limits so they can learn how to manage their own lives. This need for increasing freedom and increasing responsibility is what makes parenting teens so challenging. It’s the opposite of what we did when they were little. To successfully make this shift there are some key things to remember. We’ll talk about 4 of these shifts this week and cover 4 next week. Relationship: Focus on building your relationship with them and not just on their behavior. They are people, with unique personalities, thoughts, opinions and emotions. Get to know them. I know you may think you know them but maybe seek to understand them differently. What is their temperament and how does that affect how they engage in the world. Appreciate their differences. What do like like, listen to, watch on YouTube or Netflix? Who are their friends? What energizes them? What are their struggles? Fears? Passions? Value their input and work to cultivate a real relationship with them. Have fun with them and laugh together. Get their input on the house rules and consequences. Be available to talk when they want to talk. Learn how to really listen to them instead of immediately telling them your thoughts on their situation. Try to identify what they are feeling and reflect it back to them. Most importantly be real with them. Let them know you have emotions, faults, and failures too. Control: Too much control and rules during this time in their lives is dangerous. I’m not saying you can’t have limits. In fact, your teen still needs boundaries and limits plus you need boundaries in place for your peace. What I am saying is choose them wisely. Remember, your teen is in a different brain developmental stage. In order to “wire in” confidence in their decision making ability, they need to have the freedom to make decisions. Give as much freedom and choices as you can. A very restrictive, controlled environment results in a teens questioning their decision-making ability and frequently leads to self-doubt. They need freedom and reasonable limits so they get to practice making good and bad decisions. As they get older the freedom increases and the limits decrease. Too little control is damaging as well. They are not adults yet and need limits and monitoring. The key is to choose where you exercise to control wisely and always offer limits with choices and freedom. Freedom: Freedom is a huge motivator for teens. They crave it and desperately want it. It helps them develop competence and confidence. Even making bad decisions helps them because unfortunately we all learn best by making mistakes. If your teen never has freedom then 1) you are missing out on a great reward and motivator 2) you will notice confidence decrease and you might see an increase in anxiety/depression because they will begin to question their ability and your belief in them. There are many ways to give freedom: giving choices, asking for their input and opinion, giving privileges, letting them own certain chores/responsibilities, and letting them manage as much life as is reasonable. They will never learn to do certain things unless given the freedom to try. The Power of Solving Problems with Questions: For most of their lives they have come to us when they have a problem to solve and we solve it for them. Yet now they need to be encouraged to solve their own problems. Since their brain is under construction, sometimes they are very emotional or struggle to see the solution. It’s tempting to just give them the answer, it seems so obvious sometimes to us. DON’T. Give them the opportunity to think of possible solutions. This will help them feel more confident in trusting their voice and will help their brain as it is develops. Listen, reflect their emotions, and ask “what have you thought of doing?” or “how might you solve this?” or “I know you can solve this problem, what are your ideas?” This is HARD but is very helpful and empowering for them. Stay tuned next week when we talk about 4 more parenting shifts. I know it can be a challenge to change your default reactions with your teens. If you are struggling significantly with any of these, consider getting help from a counselor. Look for the daily joys in the journey of teen parenting….the glimpses of the unique person God created them to be. Find good healthy support. We got this parents! Parenting anxious kids and teens can be extremely difficult and overwhelming. What seems logical often fails to work. How many of these have you tried? Let me tell you why you shouldn’t be afraid. You’re too old for this! Sound familiar? If your child or teen struggles with anxiety, you’ve probably found yourself saying one of these phrases. And like me, you’ve discovered that they DON’T WORK. In fact, they make things WORSE. As your child’s anxiety increase so does your own. You are overwhelmed, out of control, helpless. You don’t understand their fear. It seems unreasonable to you. How come they don’t trust you when you tell them not to be afraid? So what can you do? How do you help them? Deal with your own emotional reactions. Nothing can increase a parent’s frustration, anger, or anxiety quite like a child in an out of control emotional state. Take temper tantrums for example. We all are familiar with that out of control emotional experience. When a child is in panic or high anxiety, you feel responsible for soothing them and convincing them they are safe. When your attempts don’t work, your own emotions build in response. But we all experience stress and strong emotions. None of us can be told not to feel a certain way. In fact, think of the last time your spouse told you all the reasons you shouldn’t be angry. Did your anger leave when you heard their reasons? Of course not!! What helps? When your spouse hears you out and listens. See we all have to learn to listen to our emotions and know what we need. So let’s see this as an opportunity to teach our kids. Am I reacting or responding? Am I trying to really understand their world and experience? Am I contributing to the stress and anxiety? 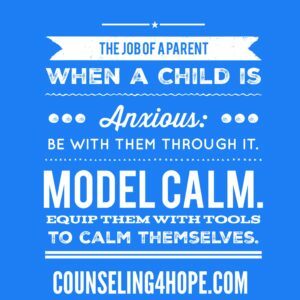 Teach them calming Tools. There are so many tools for dealing with anxiety. Become an expert in as many of these tools as possible. If you need outside help, find a good counselor that works specifically with the age of your child and specializes in anxiety. Observe the Room. Have them observe the room with their senses. 5 things they see, 4 things they hear, 3 things they touch, 2 things they smell, 1 thing they taste. Grounding Object. Pick out an object they can hold when they feel anxious. For my son it was a necklace with a shield. Imagine a Safe Place. Help them visualize a safe place. Let their imagination run free and encourage them to draw that safe place. Safety Motto. Come up with a safe phrase they can repeat when they feel unsafe. I am safe. I am ok. I am safe. Watch their anxiety number come down as they use these tools. Have them give you their number regularly throughout the episode. Praise their ability to bring the number down and point out their bravery in the face of fear. Give them an opportunity to reflect on how it felt to bring their number down. Consider the stress in their life. Today’s kids and teens are over scheduled and stressed. This can increase anxiety. We all need time to recharge. Are your kids learning to the value of down time? Are their schedules healthy and reasonable? Consider the message you send them. So many kids and teens with anxiety are perfectionist pleasers seeking to gain your approval and love. This is often a subtle message communicated by how you communicate with them. Do you only praise them for their performance? Do you have a lot of rules and expectations? Are rules bigger in your house than relationships? Do you frequently point out how they could improve? If so you may be unintentionally communicating, I only love you if___________. Instead, spend time encouraging your child’s deeper qualities…their hard work, compassion, care, bravery etc. Give them freedom to fail, struggle, and have weaknesses. Go here to read more about dealing with your own reactions and exceptions. I know how much you love your kids. I know you want them to do well in life. The very fact that you are reading this tells me how much you care. Take a deep breath, give yourself grace for the past, and move forward equipped with new information. If you need to, reach out and get help. There is so much hope! We moved to Bryan/College Station, Texas, home of Texas A&M University, when I was 9. Man, that place is different…its spirit is infectious. The University traditions create a sense of belonging and pride that grows as you fall in love with the school and the people. I swear it is one of the friendliest places in the world!! As a result, there was never a question of where I would go to school…. Aggieland was community, it was pride, it was honor, it was authentic, it was family, it was tradition, it was home! I don’t just watch the games…we celebrate the games! In true Aggie fashion, we’ve developed traditions around how we watch the football games. We plan special meals, gather with my sister, and make it an event!! I’m such an Aggie football nerd, that I even watch all the press conferences on YouTube…..I know…I may have a problem. But every now and then, I come across life wisdom that has to be pointed out and acknowledged. That happened a few weeks ago…. For non-Aggie followers…our offense for the last few seasons has been okay (not Johnny Manziel okay but not bad). Our defense has struggled, mostly because we had a lot of young guys. 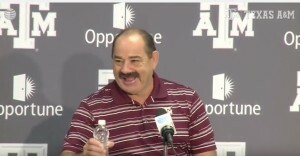 So Coach Sumlin, in his brilliant wisdom, hired John Chavis to head up the Aggie defense. This season there has been a night and day difference in our defensive line! How is this possible, is Coach Chavis really that awesome? Did these young kids just train all summer? How? What? Huh???????????? Now Coach Chavis is good and they did train hard all summer but I think I heard the secret one day during a press conference. Coach Chavis was asked how he had been able to build confidence in the team that had played so poorly last season….brilliant question because we were all wondering. Give kids the right tools and support them. Connect with them (build relationship). Encourage them to have a team that supports them. Be very careful about how you correct, do it in a way that doesn’t destroy their spirit. Have high, reasonable expectations but remember that they are human. If you do this, they will go out and get it done! Now that is a solid approach to coaching, parenting, teaching, leading, and team building. Criticism kills relationship. If you are in a role where you have to correct (like any of the roles listed above) then how you correct is important. If you beat people up with your words, you may accomplish your initial goal of behavior change, but you have lost the relationship. Relationship is what grounds us, connects us, and makes us want to work hard for people. Those Aggie boys are fighting hard on the field for Chavis because of his approach, because they are inspired to do well for him. As parents, isn’t that what we want? Kids that are inspired and empowered to reach their maximum potential? Unfortunately, too often we think constant criticism, harshness, or belittling will change behavior. It wouldn’t work for me and it wouldn’t work for you. In fact, think of the last time you were treated that way? Didn’t it make you want to NOT be around that person? Correction doesn’t have to be negative. If we focus on the relationship first and major on the positives, then we earn the right to speak correctively. Watch the press conference below, the question is asked at about 2 minutes, 30 seconds in. Life in this broken world is comprised of beginnings and endings…seasons of change and transitions. This is abundantly evident in a teen’s life. They experience huge amounts of change during the course of adolescence. Change involves beginnings and endings. Endings are hard because it can illicit fear of the unknown, sadness over loss, and possible regret over things undone. Learning how to process and healthily approach change is a great empowering and equipping opportunity for parents. How you talk with teens about change matters. Henry Cloud writes in Necessary Endings, “Without the ability to end things, people stay stuck, never becoming who they are meant to be, never accomplishing all that their talents and abilities should afford them.” This is true both for the person who is making a change, and for those who are impacted by the change. When there is a big change, provide space for the kids to talk about their thoughts and feelings where you just listen. No cell phones. Just mutually agree to spend time talking together. Let them know you understand what it is like to feel whatever they are feeling. Now is NOT t the time to tell them “everything will be okay”. Let them share their thoughts and feelings. Provide space for them to feel and let whatever they feel be okay. (Who, What, When Where, How questions…no why questions). How can you contribute and take ownership of your life and this situation? What do you need from us as your parents? How do you see this impacting you the most? What are your ideas to solve ___________________? How can you continue your growth? Helping them see their impact and power in life and in the group. Keep an ongoing conversation going with your child. If they are having strong emotional reactions, they may need extra compassion and involvement from you for a season. Well, I became a mom almost 14 years ago (wow, when did I become so old?). Although I love my kids and I love being mom, nothing, I repeat, NOTHING, prepares you for this! I mean how did I become the finder of all lost things, the fixer of all broken things, the chef, the maid, the clothes washer/dryer/folder, the chauffeur, the teacher, planner, organizer, hostess of many friends, etc., etc., etc.! My favorite moment this month is when my kid wakes me up to tell me that he is awake! Really, he couldn’t be awake by himself…I had to lose out on the bliss of sleep as well? Thankfully, God gives us incredible love for our children and grace to cover each and every mistake. Watching my boys transition from kids to teens is pretty cool! I mean they can do stuff for themselves (hang in there moms of littles…it does come) and they are pretty cool to be around! Building the relationship with my kid is way more important than the condition of my house! Frequently what frustrates & angers me is simply childish curiosity or accidents, so relax! Read Dr. Kevin Leman, he ROCKS! There is grace for me when I mess up & grace for my kids too! Children learn just as much about life when I mess up and apologize, as they do when I do it all right! Rigid expectations for myself and my kids could lay a heavy burden on me than is reasonable. Take care of myself so I can care for others, no guilt! Have friends & be the village for each other! Don’t neglect my relationship with God! He is # 1! Don’t neglect my marriage, husband comes before kids! Moms, you’re not alone! We got this! There is always hope!